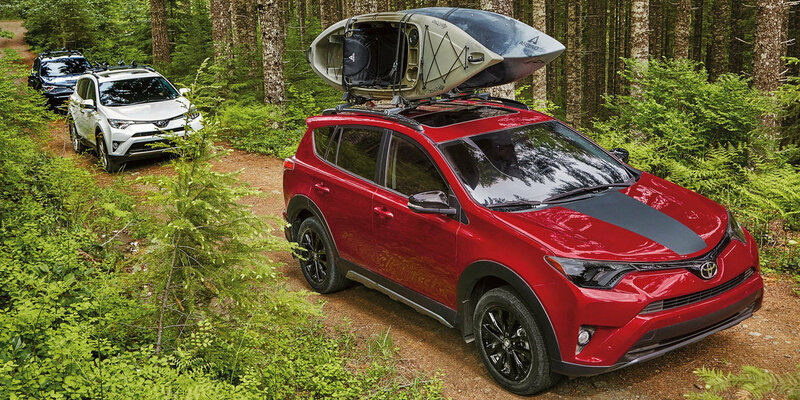 The 2018 Toyota RAV4 is always up for adventuring. 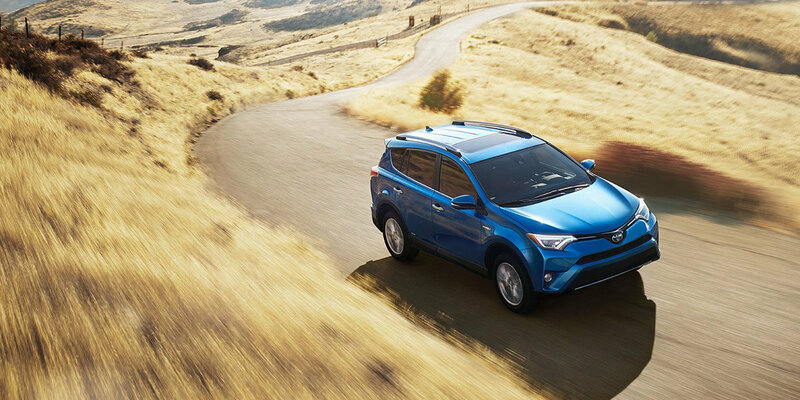 If you want something with a sleek design, fuel efficiency, and plenty of cargo space, choose the Toyota RAV4 at Mike Ferrell Toyota. Drivers will love the RAV4’s modern exterior with available fog lights and LED lighting. 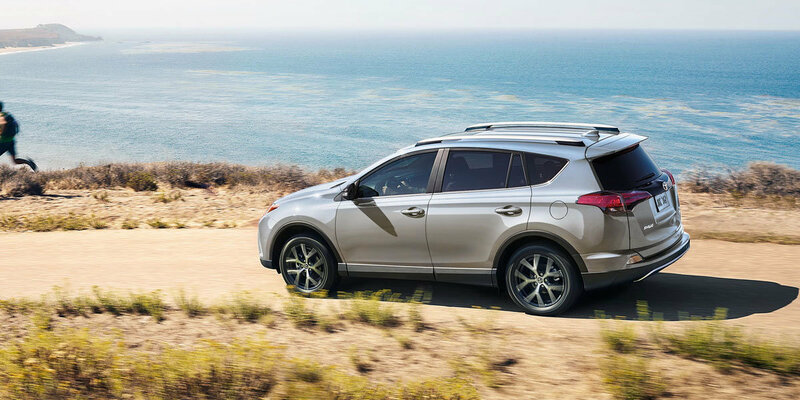 The interior of the RAV4 doesn’t forget any details either, with features like available heated seats, an Entune™ Audio system, and multiple power outlets. The RAV4 has plenty of space for your cargo and passengers. Fold down the 60/40 split rear seats for more flexibility when packing things into your RAV4. Plus, the foot-activated power liftgate allows you to access your cargo space when your hands are full. Come check out the 2018 Toyota RAV4 today at Mike Ferrell Toyota. 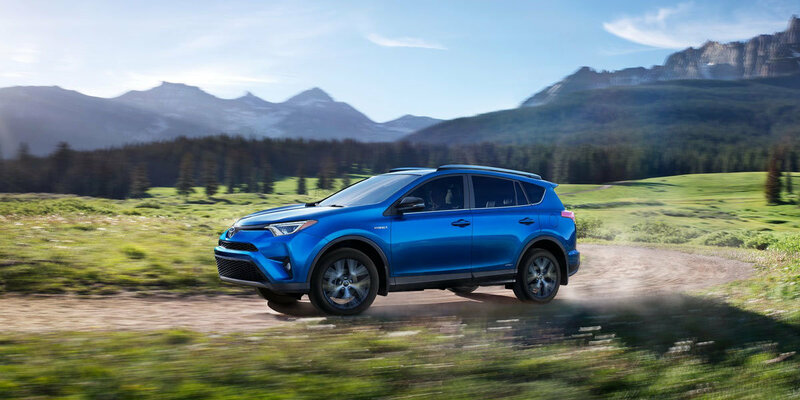 We have a great inventory of new and used vehicles, so even if you don’t choose the new RAV4, you’re sure to find exactly what you want and need. 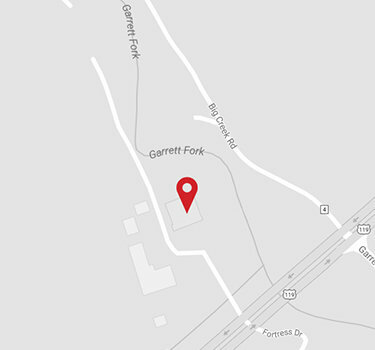 Call 304-855-8200 for an appointment. Infotainment screen size: 6.1 in. Infotainment screen size: 6.1 in. Infotainment screen size: 6.1 in. Infotainment screen size: 6.1 in. Infotainment screen size: 7 in. Infotainment screen size: 7 in. Includes front and rear carpet floor mats, carpet cargo mat, cargo net, and first aid kit. Includes front and rear carpet floor mats, carpet cargo mat, door edge guards, and front and rear mudguards. Includes smart key system, entune audio plus w/ connected navigation app, blind spot monitor, and rear cross-traffic alert. Includes integrated projected path backup camera display w/ dynamic gridlines, entune multimedia bundle (includes 6.1-in. High-resolution touch-screen display, am/fm cd player, mp3/wma playback capability, 6 speakers, auxiliary audio jack, usb 2.0 port w/ ipod connectivity and control, advanced voice recognition, hands-free phone capability, phone book access and music streaming via Bluetooth® wireless technology), scout gps link, siri eyes free, siriusxm satellite radio w/ 3-month complimentary siriusxm all access trial, hd radio technology, and hd radio traffic and weather in major metro areas. Includes integrated projected path backup camera display w/ dynamic gridlines, navigation system, entune multimedia bundle (includes 7-in. High-resolution touch-screen w/ split-screen display, am/fm radio, mp3/wma playback capability, 11 jbl greenedge speakers including subwoofer, auxiliary audio jack, usb 2.0 port w/ ipod connectivity and control, advanced voice recognition, hands-free phone capability, phone book access and music streaming via Bluetooth® wireless technology), siri eyes free, entune app suite, siriusxm satellite radio w/ 3-month complimentary siriusxm all access trial, hd radio technology, hd radio predictive traffic and doppler weather overlay, am/fm cache radio, and gracenote album cover art. Includes height-adjustable power liftgate w/ jam protection, smart key system, frameless auto-dimming rearview mirror w/ homelink, blind spot monitor, and rear cross-traffic alert. Includes height-adjustable power liftgate w/ jam protection, smart key system, entune audio plus w/ connected navigation app, blind spot monitor, and rear cross-traffic alert. Includes heated fabric front-row seats w/ 8-way power-adjustable driver's seat, heated leather-wrapped steering wheel, and windshield wiper de-icer. Includes height-adjustable power liftgate w/ jam protection, smart key system, entune premium audio w/ integrated navigation and app suite, blind spot monitor, and rear cross-traffic alert. Includes bird's eye view camera w/ perimeter scan, front and rear parking sonar, and entune premium jbl audio w/ integrated navigation and app suite.